Practice our Online Theory Test & Hazard Perception Test to get your driving license straight away! 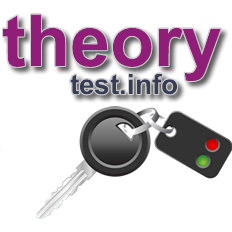 Theorytest.info is the free online service provided by www.surepass.co.uk This site helps you to pass your theory test first time. Practice by taking the mock theory & hazard perception tests. Our service is one of the best online with official DSA questions being used, helping you ensure that you pass first time! Theorytest.info is here to help you pass your test not second, not third, but first time round and so far we have a 100% success rate! Register for free now and you will get access to over 500 of the latest official theory test questions and 30 hazard perception tests. You can practice and practice until you are ready to walk into the test center and pass first time! After you have your provisional license you will need to start thinking about taking your theory test. Preparing for your theory test is essential if you want to become a safe, responsible driver or rider. Sign up for free today and get access to the practice material you need! Our products contain the Theory Test Questions for Car Drivers valid from September 2008 until Autumn 2012. Crown copyright material has been reproduced by permission of the Driving Standards Agency which does not accept any responsibility for the accuracy of the reproduction.